I am currently a Ph.D. candidate at American University’s School of Communication (AU). My dissertation is focused on the deployment, design and governance of Internet Exchange Points (IXPs)—physical facilities where internet networks may interconnect via technical arrangements established through private agreements. In this highly obscure realm of internet infrastructure, I examine IXPs primarily from the standpoint of Science and Technology Studies and Internet Governance scholarship considering social, political and economic aspects that ultimately have impacts on civil liberties, the internet users’ experience and the internet ecosystem. My framework builds on communication scholarship in intersection with legal and information studies, and postcolonial and feminist theories. Recently, my paper “Internet Infrastructure as a Network of Relations, Devices and Expectations: A Sociotechnical Approach to Internet Exchange Points” won one of the Best Student Paper Awards at the TPRC 46. My research has been funded by American University and Columbia University’s School of International and Public Affairs Tech & Policy Program, where I’m a Young Scholar. I’m a social scientist who graduated from the University of São Paulo (USP), and I hold a masters in Management and Public Policy from Fundação Getulio Vargas (FGV). 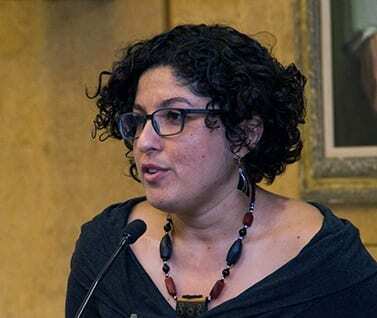 My previous appointments include being a Google Policy Fellow at R3D (Rede en Defensa de los Derechos Digitales) in Mexico, and a Research Associate at Columbia University’s Center for Brazilian Studies and Institute for Latin American Studies, in New York. Copyright 2018. | Website created by Capim Design.